When lyricist Gulzar says, ‘Bachpan Ki Yadon Ko Phir Se Bahao, Badi Chatpati Hai, Inhe Phir Se Pilao’, his raspy voice nudges you to taste memories. Of all the seductions of childhood, the most memorable ones are associated with food and drinks. Like most, my drink memories are rooted in childhood. In summer, the answer to, “What would you like to have?” wasn’t a choice between chilled beer and white wine. It was a choice between Rooh Afza, Khas sherbet, Aam Panna, Mango Shake, Cold Coffee or good old Nimbu Paani - minus soda. Funny, how we were able to digest stuff without the urge to guzzle soda based drinks with every meal. As kids, the 4 PM drink after an afternoon siesta was either Lassi or Rooh Afza. What drink could be more decadent than a tall glass of sweetened Lassi on a sweltering afternoon? After a grueling day at school, we were supposed to wake up by the tinkling sound of stirring the glass with a steel spoon. Since it was also time for home work, the sugar surge helped in lifting the sagging spirits. But now when I see the bottle of Rooh Afza, all I see is sugar, color and empty calories. But then, that’s the thing with most sweet beverages, including fruit juice. Moreover, with age calories do begin to resemble those dreadful creatures that sew your clothes a little tighter every night. Which is why coconut water remains a timeless ageless drink. Which is also why bottled water is set to overtake fizzy sodas to become the world’s favorite packaged drink. In the early eighties, glass bottles of Campa Cola, Gold Spot and Limca invaded our refrigerators. I remember wooden crates stacked in the store room, only to be served on special occasions. Who knew that a winky wonky baba was about to rubbish the precious beverages as toilet cleaners? Or that our idea of an exotic drink was allegedly calcium draining, tooth staining and kidney straining. And then there was Bael sherbet considered as a panacea for stomach ailments. 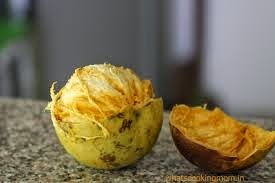 Since there was a Bael tree in the backyard and breaking the shell by dropping it on the ground was more fun than drinking the sherbet, my job was to break and scrape the shell for its sweet flesh. As it happens, life comes back full circle. For those who are not alcohol friendly, Paper Boat beverages have created a buzz in the non-alcoholic drink segment. 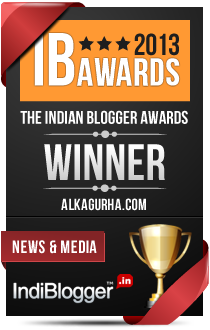 One particular drink Jamun Kala Khatta, revived childhood memories and made me pen this post. If I close my eyes and try to look back, I see myself sneaking out for fallen Jamuns and idiotically sticking out my purple tongue. However, I can’t eat the damn thing today. Too rough for my taste. But the magic of childhood lied in the fact that we didn't need drinks to make life interesting - intoxication of childhood is enough. As a kid I had the mortal fear of being served Khus sherbet. Usually the lady of the house would be in a hurry to serve it and the green gooey thing would be stuck at the bottom. I always loved having nimbu sherbet till I developed the fear of excess sugar. But these days, I stock my fridge with Paper Boat. And yes, kala jamun is my favourite too. I hated Khas too. And writing this post has a lot to do with your Bael sherbet reference on twitter. Yes, Aam Panna has survived. As much as I want to enjoy them, I dread the high sugar content these days. Masala soda is my favorite too. I haven't been a fan of the paperboat ones. while the intent has been genuine, I've found the ones Ive tasted a bit too...perhaps to reiterate the same word you used...rough. They have experimented with too many flavours. Their Mango, I find is the best because it is really thick and tastes almost fresh. This is the first time I am hearing of this brand paper boat. I must be living in some cave! But then I am not really into packaged beverages. My favourite summer beverages remain nimbu paani, or nimbu-ginger sharbat, fresh squeezed watermelon juice (somehow feels cooler than just eating watermelon) or lassi. Though once in a while I get the urge for good old Limca with a slice of pizza or something like that! When that happens, it is Limca Time! When it comes to soft drinks, I go for Limca or Sprite too. A dash of lemon and black salt makes it even better. O yes, Limca with black salt :) Perfect. I feel like having one, right now! '..sews the clothes tighter overnight'? Tell me about it :) yes - it is wonderful how smells and tastes bring out nostalgic memories. Since I avoid sugar, butter milk is what we have. I am not very fond of it though. Oh yes, Rasna. How could I forget it? We have Tang these days. My mother used to make divine sandal ka sharbat-God rest her soul. On special days we would get home Rose drinks but could never finish the whole bottle. I have never tasted Sandal sherbet. Sounds exotic. 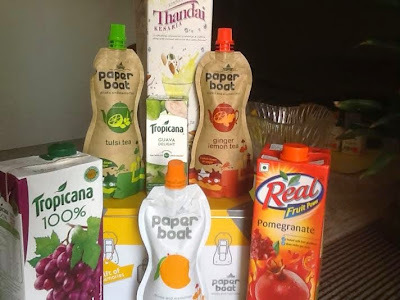 The nostalgia of the flavors was revived by this lovely post, Alka.The local drinks lassi, nimbo pani, bel, mango shake are still unbeatable depite more than a dozen brands fighting it out in the market with their own version of fizzy/ fruit based drinks! Life comes back full circle, doesn't it. In more ways than one. Ahhh....your posts are filled with such nostalgia. Rooh afza was more of a north Indian or a drink in Muslim households. Nimbu pani and rasna we our summer drinks and a special addition was mango juice squeezed from fresh mangoes and added sugar. :) Who cared about calories back then! You brought the entire childhood summer in a flash. :) I wish we had a time machine were we can go back and live those days. The whole pleasure of drinking has sunk into fizzy and unhealthy stuff nowadays, robbing us the pleasure of glorious days. Gimme water anyday! Beautiful post Alka.Yes Rooh Ahza , Rasna , Nimbu juice and Trinka were enough to take care of our 'drinking' urges. You have certainly brought back beautiful memories. I used to salivate after Pepsicola.. which I could find only far and few.. I had that Jamun Kala Khatta variety the other day and almost puked. But their Aam Panna is awesome. I was and shall always remain a (Campa) Coca Cola Fanboy. At least until diabetes finally kicks in!